Blurb: How can a book so long leave me wanting so much more?! Review: This book... whoa. I'm not sure what I was expecting from this book, but it wasn't this. I think I assumed this book was a straight-up horror. And while there are a lot of horror/thriller elements, there is so much more. It's got horror, supernatural powers, steampunk, romance, and more. In fact, there is so much in this book, that one book can't contain it. And it doesn't, unfortunately. The sequel to this book comes out this fall, and I don't know how people have waited so long. When I reached the end of this book I felt like a thousand gallons of information and plot had been poured over me, and yet I was still missing things! Because of this I began to doubt the book. I had read it primarily over the holiday break, and so I had large chunks of time to devote to it. Did that make it seem faster-paced than it really was? Would I have been bored by this book if I had been reading it in 30-60 minute intervals? I don't know. What I do know, is that the characters seemed very interesting and complex. I didn't particularly like any of the characters, because I couldn't relate to them. But I still found them fascinating. And every twist and turn of the plot kept me on my toes and wondering if it really was magic, or if someone was just imitating magic. And even though I didn't feel like there was much of a cliffhanger at the end of this book I have SO MANY unanswered questions that I await the sequel with baited breath. 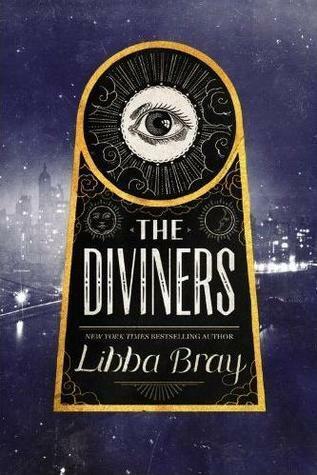 0 Response to "*The Diviners-- Libba Bray"